One of my favorite blogs to follow, Get Rich Slowly, recently published Reader Stories: I bought a duplex to save money on rent. The author of the post describes how he used an FHA mortgage to buy a duplex and with renting out the unit he was not living in, he wound up paying less for his housing than when he was renting. This is my first “book release”…okay… it’s an “electronic book” or what I refer to as a “guide book”. I plan on writing several books on mortgage related topics. This book happens to be about buying your first investment property. Although the book is focused on first time home buyers, the information also applies to investors who are buying their second or third investment property. Watch for more topics to follow soon! You can find this and other slide books at the Mortgage Porter Library. EDITORS NOTE: This post was written in 2013. FHA loan limits have changed as well as the interest rates posted below. Please see the bottom of this web page for current FHA loan limits. If I can provide you with a current rate quote for your home in Washington, please click here. If you are considering buying a duplex, triplex or fourplex and you’re going to live in one of the units, FHA is a possible mortgage option. There is a lot of interest in the FHA streamlined refinance since HUD has greatly reduced the mortgage insurance premiums for some home owners who originated their existing FHA mortgage May 2009 and earlier. FHA streamlined refinances are designed to reduce mortgage payments and borrowers are not allowed to take “cash out” or pay off existing helocs or second mortgages. In order to qualify for an FHA streamlined refiance, the borrower must have made at least six payments on the FHA loan and needs to be current with the mortgage. Here are a few tips on FHA streamlined refinances I thought I’d share with you. No appraisal required. If you opt to not have an appraisal, then your new loan amount may not exceed your current loan amount. This means that your closing cost and prepaids/reserves cannot be financed (upfront mortgage insurance is still allowed to be rolled into the loan). Closing cost and prepaids/reserves may be paid for with interest rate rebate credit or cash at closing. If you opt to have an appraisal, then your loan amount may be increased. Credit qualifying vs non credit qualifying. FHA streamline refi’s may not require verification of your income or assets (non-credit qualifying). Did you know that you may qualify for improved pricing if you opt for a credit qualifying FHA streamlined refi? Pricing varies throughout the day and when I’m locking an FHA streamlined refi for a Washington area homeowner, if pricing is the same, I’ll opt for non-credit qualifying. However if pricing is improved for a credit qualifying streamlined refinance, I’ll advise my client of the pricing differences and let them decide which route they prefer. Underwriting overlays. Although HUDs guidelines might state something different, the banks and lenders we work with allow us to help home owners who have a low-mid credit score of 640 or higher. If your credit score is below 640, you may want to consider working directly with your bank. Net tangible benefit. HUD requires that the loan “makes sense” and that is defined as a reduction in your mortgage payment (principal, interest and mortgage insurance) of at least 5%. It may also mean refinancing your FHA ARM into an FHA fixed rate product. Unfortunately, if you’re refinancing an FHA 30 year to a FHA 15 year fixed rate product, and your payment does not go down by 5%, you will not meet the current “net tangible benefit” requirement – even if you’re doing a “credit qualifying” FHA streamlined refinance and fully disclosing your income. This is something HUD needs to correct, in my opinion. Reduced mortgage insurance premiums. HUD has announced reduced mortgage insurance premiums (both annual and upfront) for FHA loans that were endorsed (insured) by HUD prior to June 1, 2009. FHA loans are endorsed by HUD after closing – sometimes several weeks after closing so it’s possible your FHA mortgage closed in May of 2009 and not endorsed until after the cut-off date. 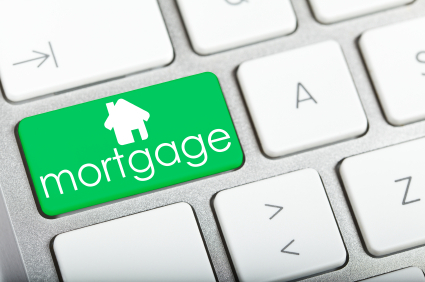 Credit of your existing upfront mortgage insurance premium (UFMIP). If your existing FHA insured mortgage was originated over the past three years, it may not quaify for qualify for the reduced mortgage insurance, however, you probably will receive a refund of a portion of the original UFMIP. The refund is credited towards the closing cost of your new FHA loan and ranges from 80% to 10% of the original UFMIP by the 36th month. FHA streamlined refinances are available for non-owner occupied homes too! 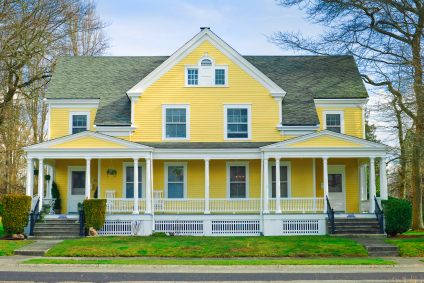 If you have a home that has been converted to a rental property and the underlying mortgage is FHA, it’s eligible for an FHA streamlined refinance as long as the owner occupied it for a least 12 months. With a non-onwer occupied FHA streamlined refinance, it must be done without an appriasal so no closing cost may be financed (except the upfront MIP). If you are interested in refinancing your existing FHA insured mortgage on a home located anywhere in Washington, I’m happy to help you. I’ve been originating FHA home loans at Mortgage Master Service Corporation since April 2000, where we have in house FHA underwriters at our main office in King County. Click here for your FHA rate quote. EDITORS NOTE: This post was written in 2011. Some of the programs, like Fannie MaeHomePath, may no longer be available.